The 'Hanna' premiere took place at the Whitby Hotel yesterday evening(March 21st) in New York City and it's stars Mireille Enos and Esme Creed-Miles were on deck. Mireille Enos wore a cute BRANDON MAXWELL black crepe jumpsuit, which featured a cutout, bow back, a nipped waist, side pockets which she utilized and wide-legs. The pants could have been hemmed about an inch but she still looked great in this jumpsuit. 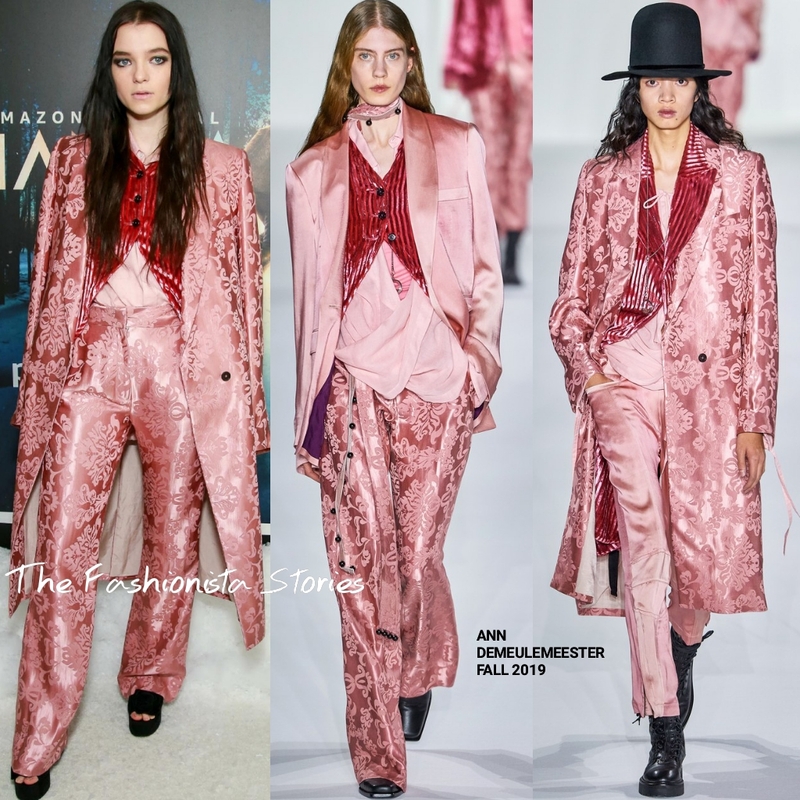 Esme Creed-Miles went the power suit route wearing a rare red carpet designer brand, ANN DEMEULEMEESTER. Her FALL 2019 ensemble featured an pink floral long coat, layered with an red velvet vest & pink top underneath and the matching pants. While I don't really mind the black sandals, the platform style seems to heavy with this ensemble. I would have liked to see this with an red or white heel. Also the pants needed to be hemmed. Nonetheless, I do like this look and she did a good job with mixing the pieces up from the runway's presentation.